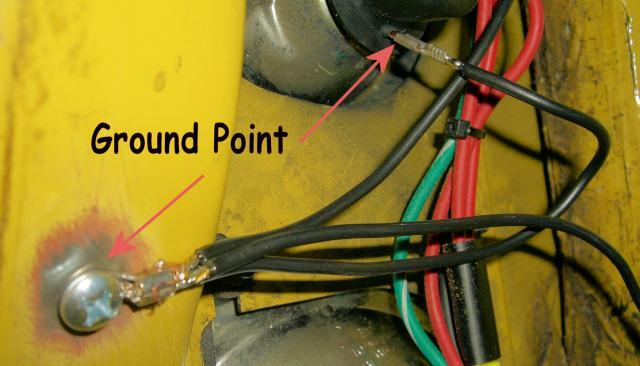 One of the reasons the tail lights on a TR6 "fail" is because of the way they are grounded.......or should say.....not grounded. The lamp socket snaps in to the tail light hole creating the ground. They seem to work perfectly until you close everything all up, go for a bumpy drive and find out out that you've "lost your ground". Open everything up again, give the socket a little twist, re-establish the ground and you're good to go........until it happens again. Well, courtesy of Francois in the 6-Pack Forum, I located this guy ( bluechips2001 ) on eBay who sells a package of all 6 sockets, brand new with rubber housing AND a built in ground tab! I won my aution for less then $40 delivered. 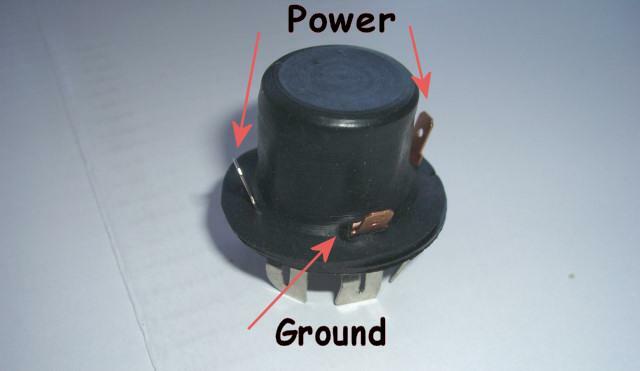 When you consider that the Big 3 sell the sockets without ground tabs for about $10 each, or $60 plus shipping, the eBay route is quite cheap and a better design. I did a ground point on each side of trunk to handle the three lights on each side.